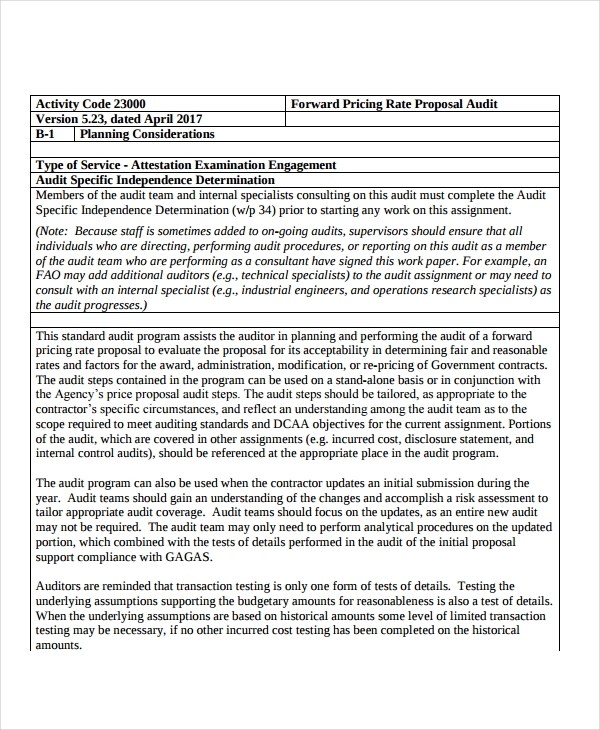 Making an audit proposal can be easier if you will use simple proposal formats that can directly present what you can offer to your clients. The same goes with the creation of conference proposal examples & samples and other kinds of proposals. In any instance that your customers are aware on how to write a request for proposal and have sent you one, ensure that you will browse through this document first before creating the audit proposal. 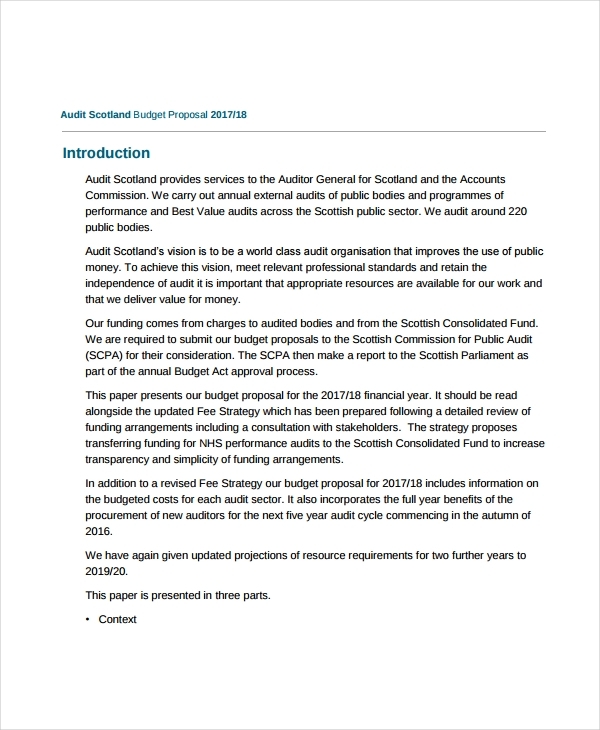 Aside from these references, you may also download the examples available in this post so you can efficiently develop an audit proposal on your own. Making an audit proposal is just like developing project proposal examples. In this manner, you should ensure that the content of your audit proposal are attention-grabbing. Moreover, it should be relevant to what your clients are looking for. If you are aware on how to develop A grant proposal, you should already be familiar with the fact that you have to be thorough and specific when listing down all the proposal content. 1. 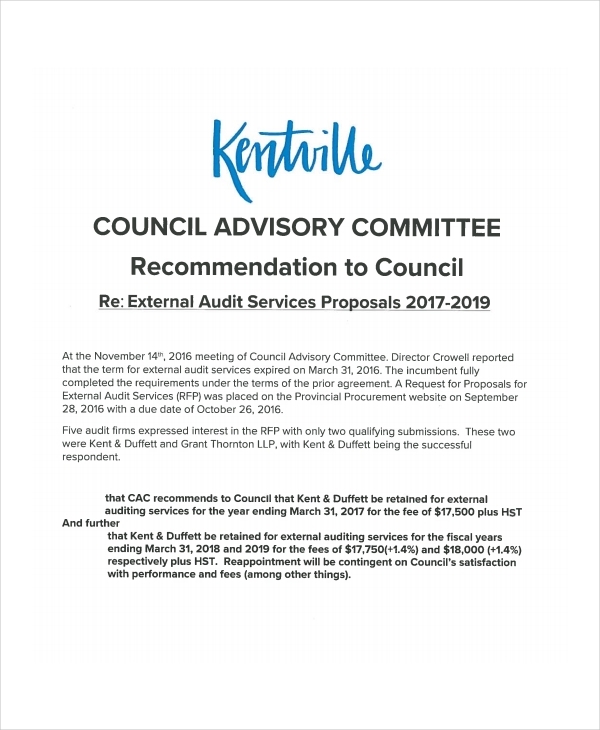 The presence of an audit proposal can make it easier for you to relay all the information that you would like your client to be aware of. 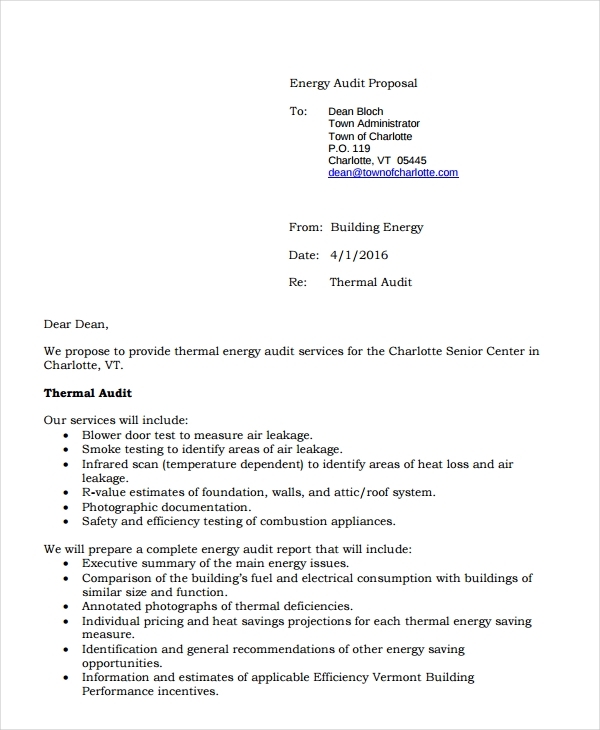 This document can also present the results that you would like to achieve so that your clients can be aware of the objective of your audit proposal.You may also see business proposal letters. 3. 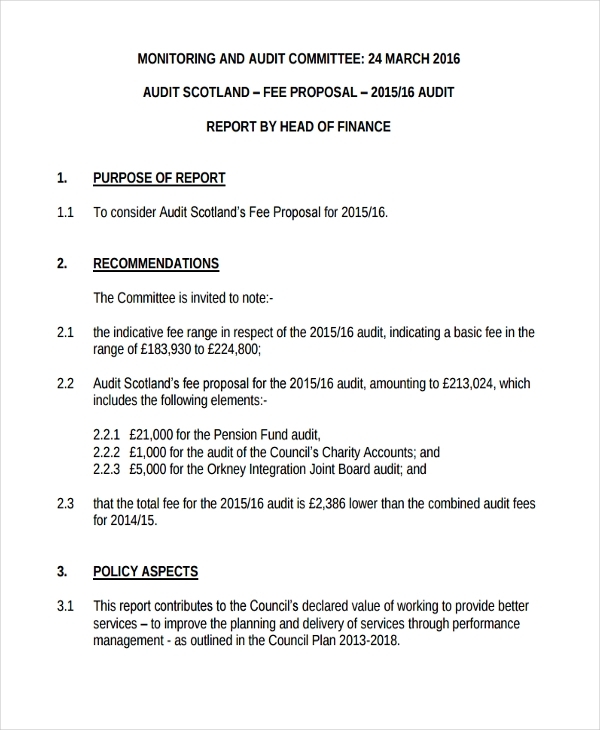 An audit proposal can help potential clients to be aware on whether they can afford your services. 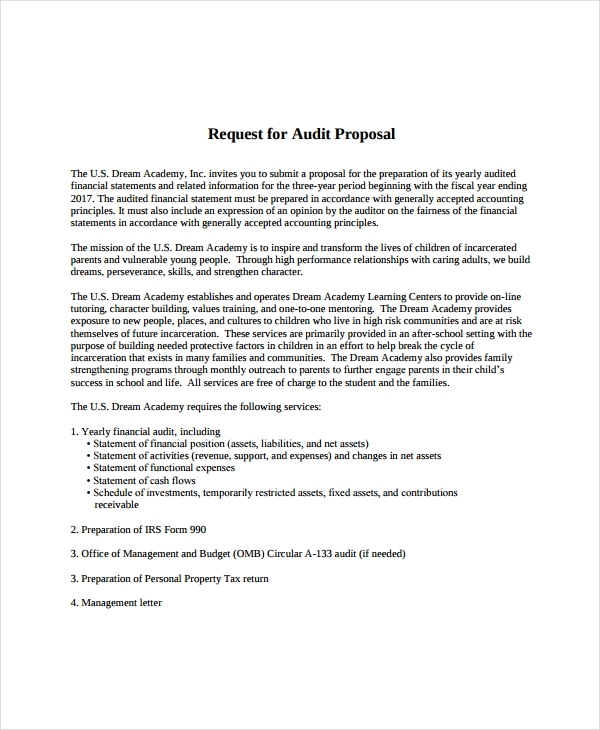 This can also lead to negotiations in terms of pricing so that you can come up with an agreed cost in exchange of the professional audit services that you can execute.You may also see how to prepare a nonprofit grant proposal budget. 1. Just like when making research proposal examples & samples, develop a timeline that you will follow within the entire auditing. You should make sure that all the audit activities are broken down into time frames so that your client will have an idea on the amount of audit time that they are paying for. 4. 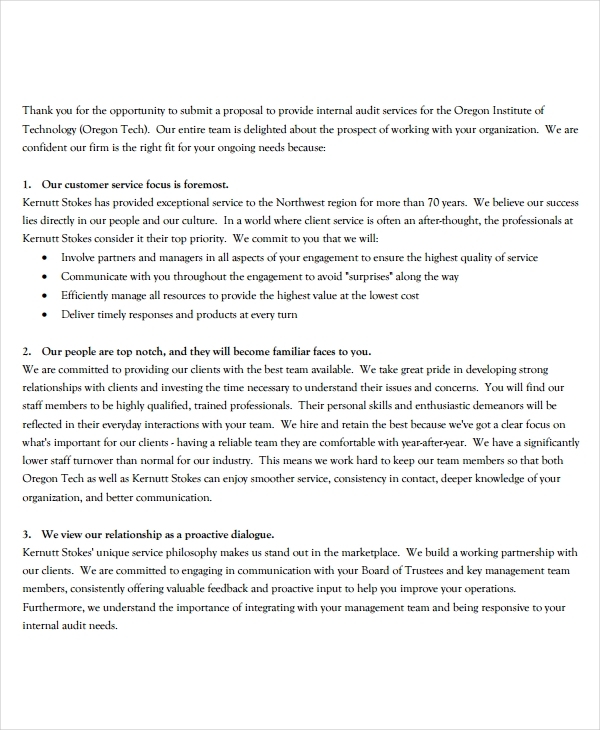 Be knowledgeable on how to write a business proposal for customers. Different clients have different requirements and needs. Knowing how to supply those needs through your services can help you get better and bigger chances of being considered for the audit. 3. Be specific with the process that you will audit. Remember that it is essential for you to be critical when it comes to assessing the areas of the business that you will look into. 4. As stated above, request for proposal examples should thoroughly be reviewed so you can identify where your clients are coming from. This can also help you provide the specific service offers which can be deemed desirable by your target clients. 5. Use free proposal examples & samples as your references when making your own audit proposal. 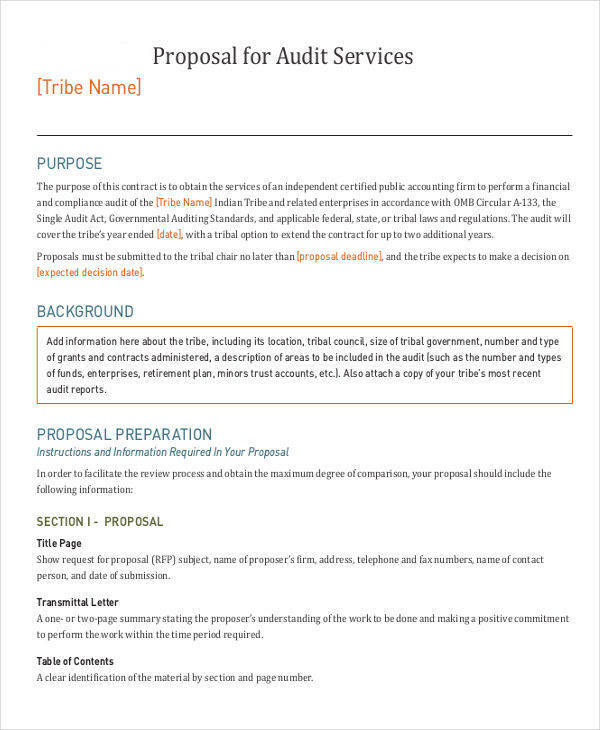 Knowing what to put in the document and how you can arrange the discussion of such will allow you to be more successful in making an effective proposal. 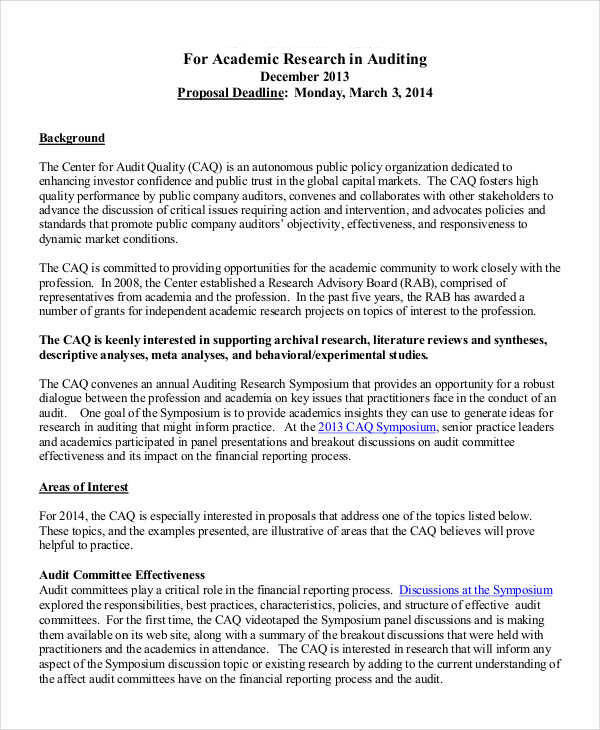 Ready to Make an Audit Proposal? 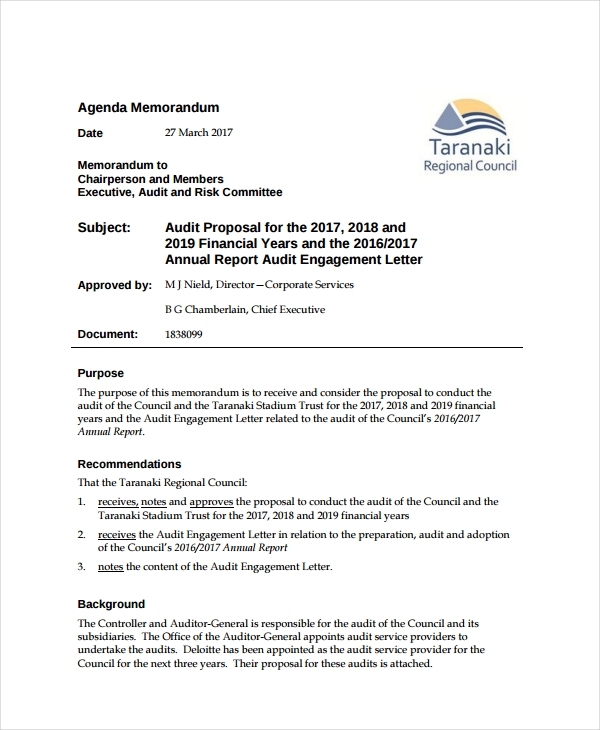 On the other side of the transaction, businesses who provide audit services must come up with a proposal that is precise, specific and transparent. 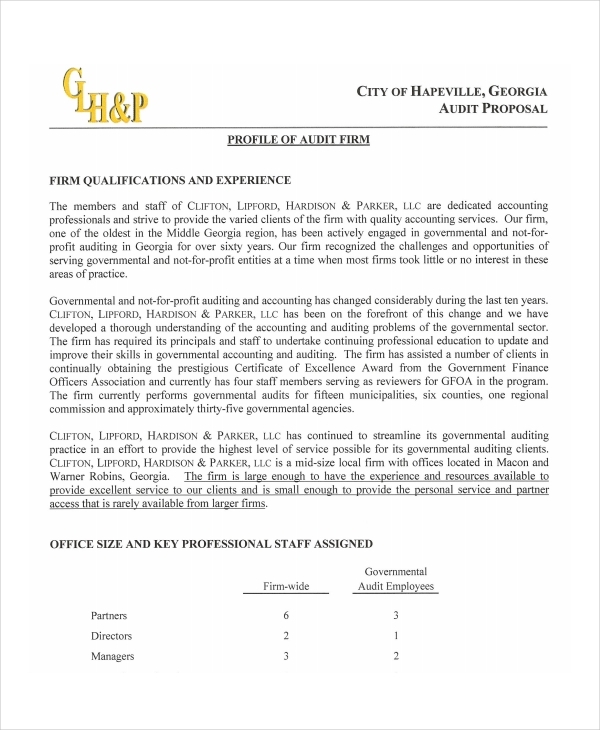 Just like in using grant proposal examples, the precision and completion of the audit proposal content can be one of the factors that can greatly affect the decision of clients to hire you or not. Create an audit proposal now through the help of the professional proposal examples & samples that we have put together just for you.